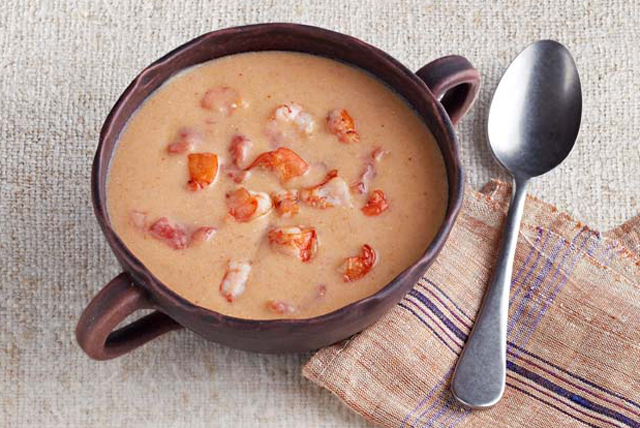 If you like seafood chowder, you're going to love our Creole Shrimp Chowder. Chock-full of shrimp and vegetables, this creamy soup is perfect alongside a crisp green salad and fresh whole wheat rolls. Peel shrimp; place shells in Dutch oven or stockpot. Coarsely chop shrimp; refrigerate until ready to use. Add broth, water, onions, celery and thyme to Dutch oven. Bring to boil; cover. Simmer on medium-low heat 30 min. Strain into medium bowl; discard strained solids. Reserved strained broth for later use. Heat dressing in Dutch oven. Whisk in flour; cook and stir 3 min. or until lightly browned. Gradually whisk in strained broth until blended. Add tomatoes and Creole seasoning; mix well. Bring to boil on medium-high heat, stirring frequently; simmer on medium-low heat 20 min. or until thickened, stirring occasionally. Add shrimp and cream cheese; cook on medium-low heat 5 min. or until cream cheese is completely melted and shrimp are done, stirring occasionally.